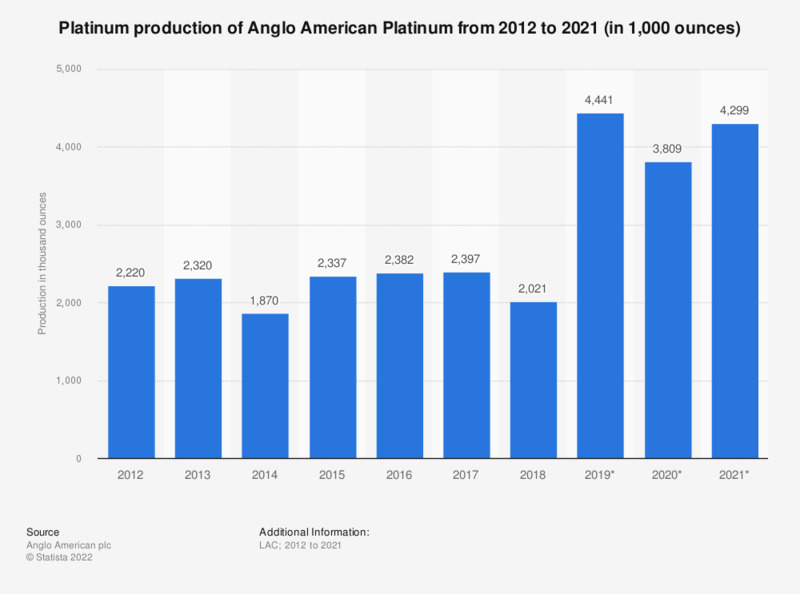 This statistic shows the platinum production of the platinum segment of mining company Anglo American (the segment company is known as Anglo American Platinum Ltd.), from 2012 to 2018. In 2018, Anglo American Platinum produced some 2.5 million ounces of platinum. Anglo American Platinum is the world's largest platinum producing company. Production disclosure has been amended to reflect Anglo American's own mine production and purchases of metal in concentrate in order to keep with industry benchmarks.